Happy Thursday friends...it's almost the weekend! Who doesn't love a nice summer Saturday doing the things you love? My idea of a perfect weekend is spending the day outside enjoying the beautiful weather, going on a date with my husband and of course plenty of reading time out in my hammock. Here's hoping your summer weekends have been fabulous and fill with lots of bookish fun. We all know how much our friend Ginger loves summertime and I've been a big fan of her Summertime Reads feature every year. So I'm thrilled to be on Ginger's blog today sharing some of MY favorite summertime reads. When it comes to summer reading, my favorite spot to curl up with a good book is anywhere outside. There's nothing better than fresh air, the sun shining and birds chirping. Last summer my favorite reading spot was my hammock in the back yard, but this year since I moved back to the Boston-area I have not one, but TWO new favorite reading spots. The first picture is from my sister's pool in her backyard. I mean, you don’t get much better for a reading spot than that right? The other two photos are from the park that's in my office complex in downtown Boston. I can't tell you how refreshing it is to sneak out here on my lunch break and read for an hour. It's a perfect way to de-stress and I get to squeeze more reading time into my day. I love it. As for the books I love to read in the summer, I'll read pretty much anything but the I'm highlighting some books that give me that ultimate summertime vibe in the best possible way. 'Fangirl' by Rainbow Rowell may take place during the school year, but I still get those swoony summer feels when I read it. Must be the power of Levi! He's like a little ray of sunshine in Cath's life, and he fills my heart with warm, ooey gooey feels. This book is like the perfect summer ice cream cone; delicious and refreshing. Emery Lord writes THE BEST friendships! 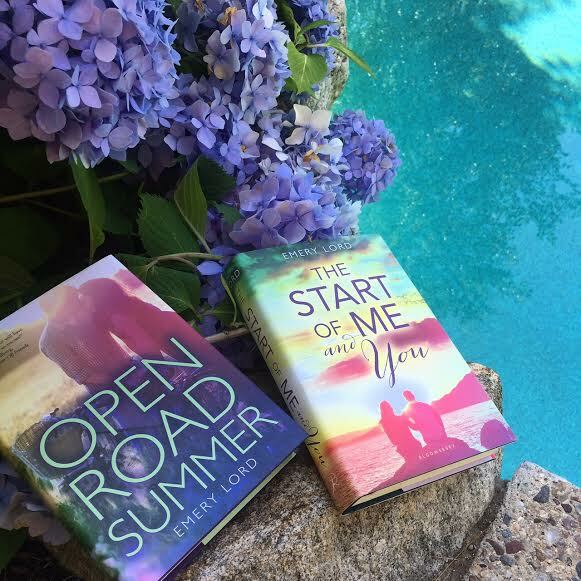 Both 'Open Road Summer' and 'The Start of Me and You' feature incredibly strong female (and male) relationships that are so authentic and highlight what an amazing friend is made of. One of the best parts of summer is spending time with the people I love, and Lord's books remind me of how much I love my besties! There's no one on earth who writes New England summer romances better than one of my favorite authors, Huntley Fitzpatrick. She captures the summer scene perfectly with its salt air breezes, cool ocean swims and hot summer nights. Whenever I read her books, no matter what time of year, I'm always reminded of how much I love being a New England girl in the summer! 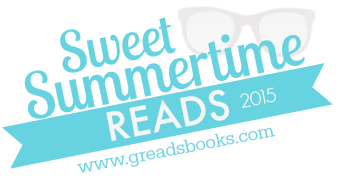 Be sure to add these perfect summer reads to your TBR today, and prepare yourself for the ultimate summer reading experience! Thanks so much Ginger for having me and wishing everyone a summer full of perfect moments! 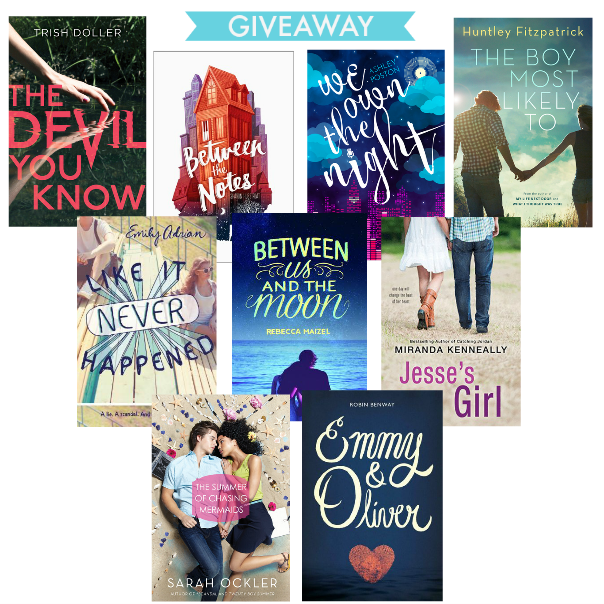 I've read all of these books that Sarah chose (currently reading The Boy Most Likely To & oh my! so good! ), so of course I can back this post up 100%!!! I am so jealous, Sarah, of your New England summers. This summer girl longs to experience it at least once in her lifetime! I am hoping to make this come true in the not so distant future. 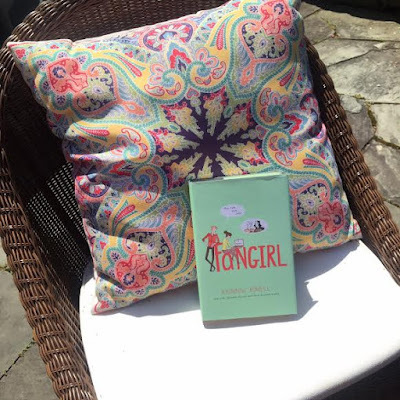 Thank you so much, Sarah, for showing us your sweet summertime reads! 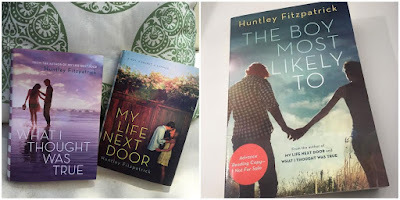 Huntley Fitzpatrick's books are definitely perfect for the summer time! Lovely stories with just a slight hint of melancholy.